Resource > 4K Media > How to Convert UHD Blu-rays to Videos? Summary: If you convert your UHD Blu-rays to videos, then you can enjoy them on your HD TV or 4K UHD TV without using a Blu-ray player. Here we will show you how to convert UHD Blu-rays to videos. When it comes to ultra-high definition entertainment, 4K UHD Blu-rays are the prime options. A 4K UHD Blu-ray is four times the size of a regular Blu-ray. This is the reason why we don’t refrain ourselves from calling them UHD discs. Slowly but surely, 4K UHD has become the ultra high definition entertainment standard of movies, web series, and even games. If you’re the one who likes to buy 4K UHD Blu-ray discs of newly launched or already launched movies then this tutorial is just for you. Having a BD ROM drive in your laptop or desktop is one thing and having a BD player is another. Because internal BD ROM drives are cheaper, therefore, more people prefer having it. However, it is not a convenient way to always connect your PC/laptop to your HDTV via HDMI for watching 4K UHD movies via your BD ROM drive or UHD Blu-ray ISOs. The best option is to rip your UHD Blu-ray discs or ISOs to a video format that is fully supported by your HDTV or 4K UHD TV. What is DVDFab UHD Ripper? Introducing DVDFab UHD Ripper, a useful software for ripping your 4K UHD Blu-ray discs, ISOs, and folders. DVDFab UHD ripper is a ripping software which can convert UHD to video formats likes MKV, M2TS, and MP4 (1080p only). It basically provides six video outputs including 4K (MKV, M2TS), Passthrough (MKV, M2TS), SDR (MKV, MP4). The two Passthrough formats are lossless formats which equal the original video quality on the UHD Blu-ray disc, the 4K formats shrink the original contents to a comparatively smaller size, yet still offering the best video quality possible, and the last two SDR formats can convert the HDR10 contents to flawless SDR contents without compromising too much of the natural color, including brightness, saturation, sharpness, and vividness. DVDFab UHD Ripper proves itself exceptionally useful if you use it for 4K Passthrough conversion. Today the latest movies that you watch in theaters or UHD players are shot with HDR10. HDR10 is a camera’s hardware feature which enhances the video picture quality so that it looks real and lifelike. So, if you use 4K passthrough or any of the remaining four formats for ripping then the HDR10 quality will be preserved during conversion and you will get the same viewing experience as you were about to get from the UHD disc. But make sure that your 4K UHD TV supports HDR10. The 4K TVs that don’t support HDR10 are still covered by DVDFab UHD ripper as you can use either the simple 4K or SDR for HDR10 non-compliant 4K TVs and HDTVs. Let’s have a look on how to use the DVDFab UHD ripper and convert UHD to video. And how can we skip the ripping speed? DVDFab uses the Intel Quick Sync, Nvidia CUDA, and AMD acceleration to boost the ripping process by many folds. So, the conversion will be blazing fast on a computer hardware with support for the above mentioned technologies. How to Use DVDFab UHD Ripper to Convert UHD Blu-rays to videos? Here’s a detailed step-by-step tutorial for using the DVDFab UHD Ripper and to convert UHD Blu-ray to MKV and MP4. · Download and install the DVDFab 10 software. Download the 64-bit version only, because the 32-bit doesn’t support DVDFab UHD ripper. · You should be having Blu-ray discs and a BD ROM drive which supports 4K UHD discs. If not then you should have the UHD Blu-ray ISOs. Make your choice here. · Open the program and click the ‘Ripper’ tab. Then click the ‘Add’ button then either load the UHD disc from the BD ROM or load the UHD ISO. Both will work the same way. · After loading the source click the ‘Video Profile Switch’ button and select the output video format. · I already told you about this that select 4K Passthrough (MP4 or MKV) if you want a lossless conversion and your UHD TV supports HDR10. If not then select the normal 4K formats. If you don’t have a 4K UHD TV but a normal Full HD TV then select the SDR formats. This lets you convert UHD to Full HD and convert UHD to HD. · Click ‘Choose Other Titles’ and select the titles which you only want to rip and skip the rest. · You can also check the options for ‘Chapter’ ‘Audio’ and ‘Subtitles’. · Click the ‘Video Settings’ button if you wantto make any changes to the video like changing the ‘resolution’, ‘video quality’, ‘frame rate’, ‘audio channels’. It supports stereo, mono, Dolby Surroud/ProLogic, Dolby ProLogic II, and 5.1 theater surround sound. · You can check ‘Copy Video’ and ‘Copy Audio’ if you want everything same as the original UHD source. Each and every setting will be copied to the output video format. Click ‘OK’ to go back to the main screen. · Once you make all the settings, click the ‘Start’ button to start ripping your UHD disc. After conversion is over click the folder button to locate your ripped video or movie file. · You can click the video editor button and edit your UHD movies. The common tools provided are multiple trims, crop, watermark, subtitles, and contrast, brightness, and saturation enhancements. So, we just discussed DVDFab UHD Ripper above that is designed to work with UHD discs and ISOs. But if you want to convert almost any video format then the right option is DVDFab Video Converter. DVDFab Video Converter is the best 4K video converter and recognizes almost every video format that you have come across. It also provides device-specific conversion. Suppose you have got an iPhone X then why would you bother to make correct settings in the software if these settings pre-configured. Just select iPhone X from the device list and all the best video settings will be applied automatically. The DVDFab Video Converter is also equipped with a video editor which is capable enough to provide quality video editing functions. You can use the multiple trims, crop, rotate, watermark, and subtitle options. You can also modify the brightness, saturation, and contrast values within the editor settings. 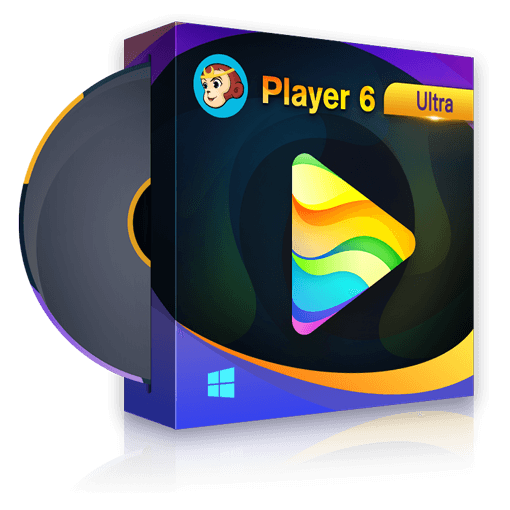 Overall it's a nice video converter software with support for a large number of video formats and hardware devices like smartphones, tablets, gaming consoles from different manufacturers. In this article we just discussed the DVDFab UHD Ripper in detail which is a nice solution to rip your 4K UHD Blu-ray discs and ISOs. Support to UHD Blu-ray ISOs makes it suitable for people who don’t have the expensive BD ROM drives except the ISO files. If 4K UHD isn’t your priority and you can entertain yourself with just normal quality videos then you should check the DVDFab Video Converter with video editor that we discussed above. It’s your turn now to make a choice between these two software programs. If you are looking for a media server hardware to manage and play your movie files, you can never miss out DVDFab Movie Server. It is the best home media server hardware that can fulfill your needs in many ways.